In a few years from now, man no longer exists and the world is ruled by dogs. They have human like tendencies and live in the world as we know it. They wear the same clothes and stand on their back two legs. Their currency is bones. 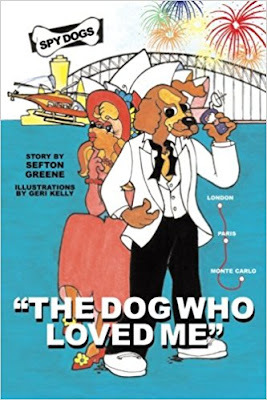 The story is about a dog called Hat Dog, a famous model who is kidnapped by Calor Gas, an evil dog. He holds her for ransom. There is one dog who can save her. His name is Mike Wild, the best spy dog in the world, or so he says. Wild has to exchange one million bones for her release in Monte Carlo, but there are many twists and turns on the way, such as stopping in Paris and using his gadgets. With a little help from his friends he gets the job done!